Ace High Storage has a 7 ft chain link fence around the perimeter and is under lock and key at all times. Four floodlights and multiple monitors are present providing a high level of security to the compound. Pre-selected for the best quality. Available in 8x8, 8x10, 8x20, 8x40. Mouse proof. You can store anything from Personal belongings in our mini storage, ATV’s, Bikes, Boats, RVs, Trailers, Oilfield Equipment large and small. Each storage unit is also steel encased so you don’t have to worry about rodents and are water proof. We have various sizes of C cans for rent - 8x8, 8x10, 8x20, 8x40. WHY ACE HIGH RV & MINI STORAGE? We take your storage needs seriously. 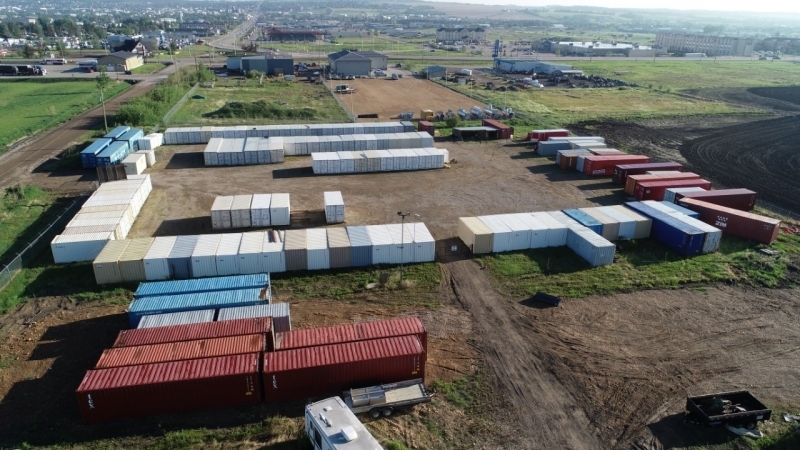 With over 4.6 acres just behind the GearJammer building on 8th and kitty corner south from the new Co-op Cardlock on the Dangerous Goods Route in Dawson Creek, we are as close as you can get. Our clients store everything from RV's (boats, trailers, 5th wheels, ATV's, cars and motorcycles) to home furnishings, clothing, old boxes of pictures and more. We also service the oil and gas industry and have storage available for camp shacks, piping and pretty much any industrial component that you need access to. Again, under lock and key.